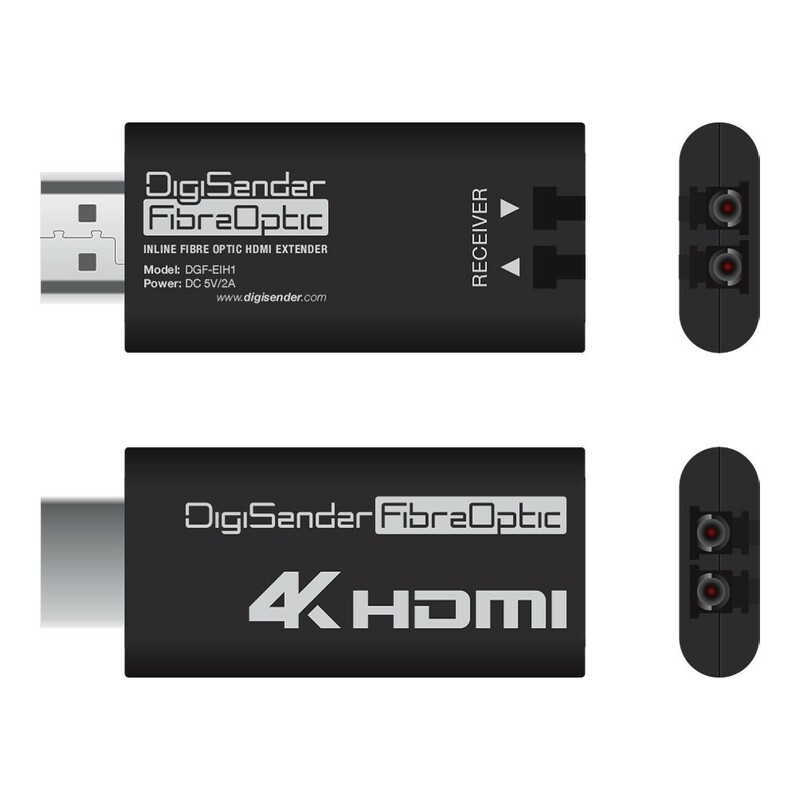 A unique all-in-one Fibre Optic Driver and Receiver that provides 4K resolution and works with any of the DigiSender OM3 cable series up to 300 meters. It means that you can create your own HDMI Fiber Optic cable in any length of 50m, 100m, 150m, 200m or 300m. It works with the quick deployment cable reels for an instant high quality 4K connection with real time zero latency. "It works just as though it was a conventional HDMI cable but you must observe the markings on each unit showing Extender (broadcaster) and Receiver. 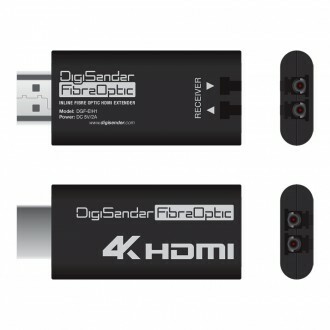 Simply connect the 'Extender' to the source HDMI device and the 'Receiver' to a TV or monitor"